This post is an analysis of some data from our Kickstarter campaign for Ghostel. It may be useful for future campaign creators. 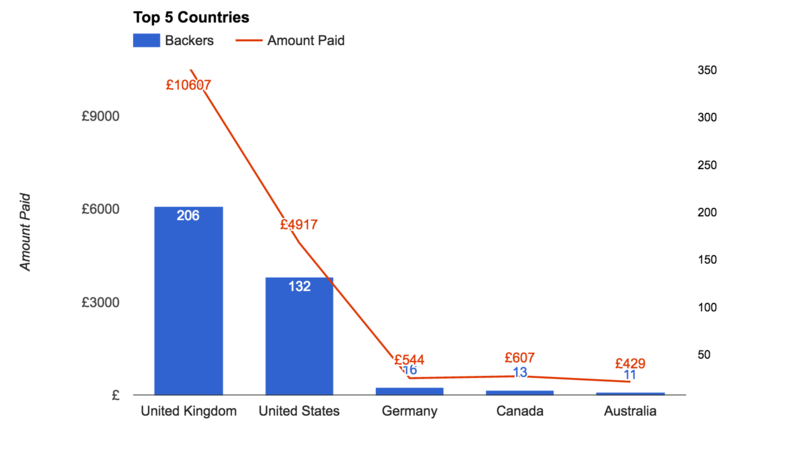 This one is simple enough, our top 5 counties by backers and funds pledged were UK, USA, Germany, Canada and Australia. All english speaking countries for an english language game! 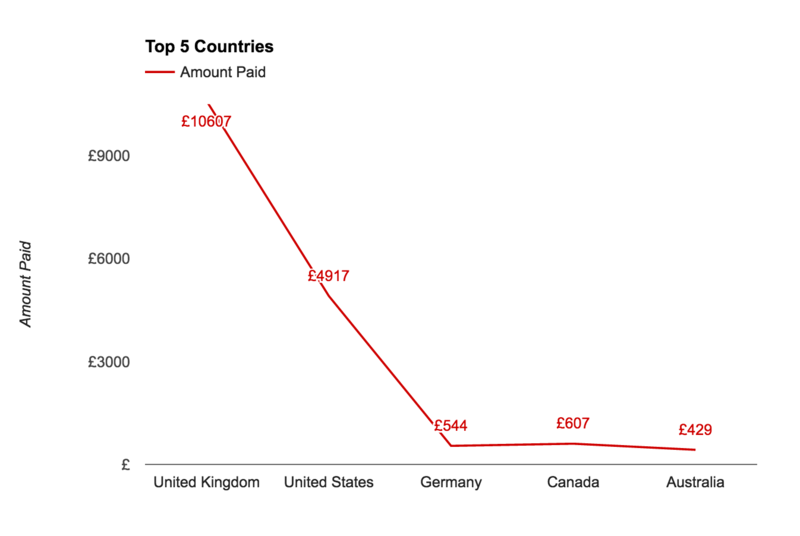 Again, unsurprising the UK was top as this campaign is based in the UK and is in the UK currency. 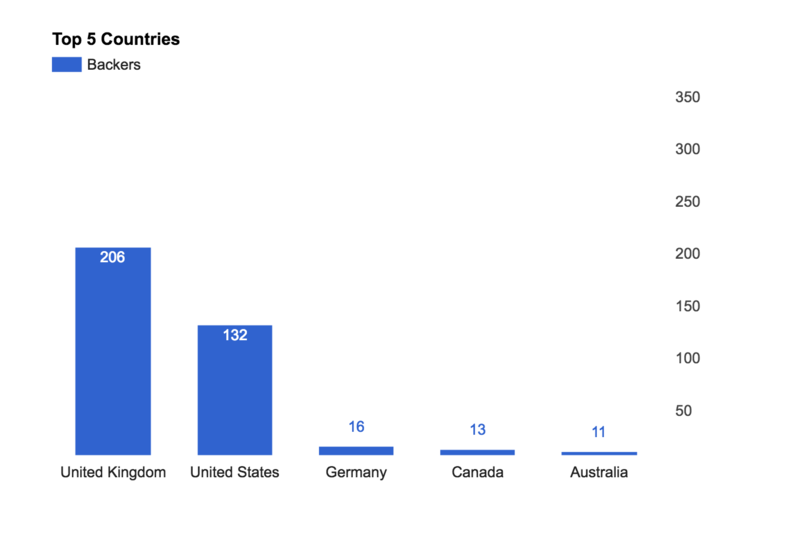 This data shows you how people discovered our campaign. This data is self-reported so it relies on people remembering correctly. Kickstarter (Browsing) – People who found the campaign by browsing through the Tabletop category on Kickstarter and clicked our thumbnail image. Family/Friend – People who know us personally, or are friends with someone who knows us personally. Via a friend – Recommended by a friend of theirs who we don’t know personally. The runaway winner here is the Kickstarter Browsing Category. It’s amazing to see how many people found us just by browsing through KS alone. It reinforces for us how important the KS thumbnail image is so don’t take it for granted! However, relying on self-reported data has some big flaws, the biggest is that we’re relying on people remembering a series of events leading them to take an action and it’s easy to forget those events or confuse them with another similar occurrence (i.e. backing a different game). There is one clear example in this category, that of the podcast On Board Games. Bevan was interviewed on an episode of the On Board Games podcast and out of 505 backers, only 1 person said that the On Board Games podcast was how they heard about our campaign. However, if you look at the graph of total pledged cumulative for each day of the campaign, something interesting appears. Between days 11 and 25 (highlighted with the black lines) we had the typical 2 week long mid-campaign “steady period” where the campaign slows a bit from the initial hype and just gradually creeps up. 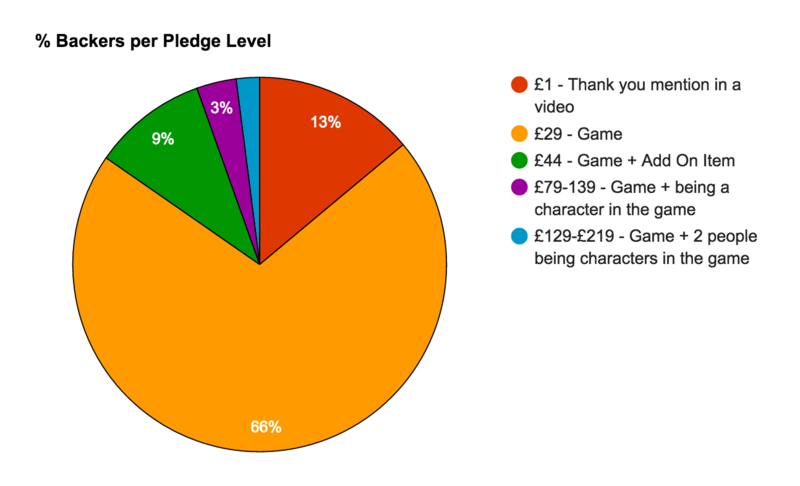 You can see it’s almost a dead straight line, except for days 21-23 where there is a nice little bump of more pledges. It’s quite noticeable bump and it just so happens that on day 21 of our campaign, the On Board Games podcast episode went live and was released. So, although only 1 person reported themselves as coming to our campaign from the On Board Games podcast (pledging £32), it appears that many more people actually joined our campaign at the exact same time as the On Board Games podcast was released. This could be a coincidence, but it seems unlikely. So our recommendation is that you use this section of data as a general indicator, but there is a significant margin of error to consider. 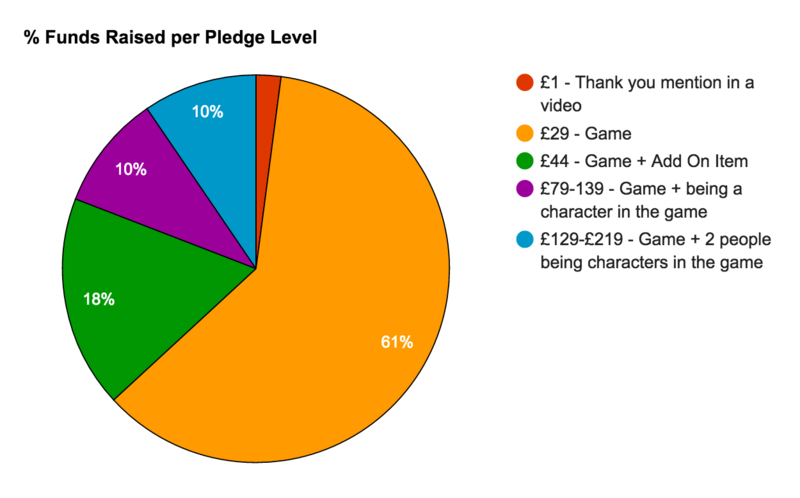 *Due to the speed at which these pledge levels sold out we added more to the campaign but the price varied because extra rewards increased certain costs. Get the crowd right and the funding will follow along. Remember in crowdfunding, the crowd part is more important that the fund part. It’s easy to get a small group of close friends/family to support you in big ways, but to reach your goal you’re going to need a lot of people to support you in little ways. Almost everything is going to take longer than you expect. Plan how long you expect things to take, then double it. And add a bit. Be wary of currency exchanges! Our campaign was in UK currency (£) which worked for the larger parts of our crowd, but our expenses were mostly (80+%) in USA dollars. This was not a problem until Brexit happened and the £ vs $ plummeted losing us a bit portion of our funds to the exchange rate. We should have converted all our funds into dollars as soon as we got them. Due dates and launch dates don’t mix. So my wife was due to give birth in the middle of the campaign (and she did!) which meant leaving the remainder of the campaign to Bevan to handle with Tony assisting. They did a fine job but a kickstarter campaign is a 24/7 job which is tough for two people. Don’t push the button until you’re ready. We wanted to launch in October 2015 to take advantage of Halloween for our ghost-themed game, but the campaign wasn’t ready (refer to #2 in this list). We could have launched then but we decided to wait a few more months and when we did eventually launch the campaign was stronger for it.